As summer is in full swing, maxi dresses are making quite the statement this season. 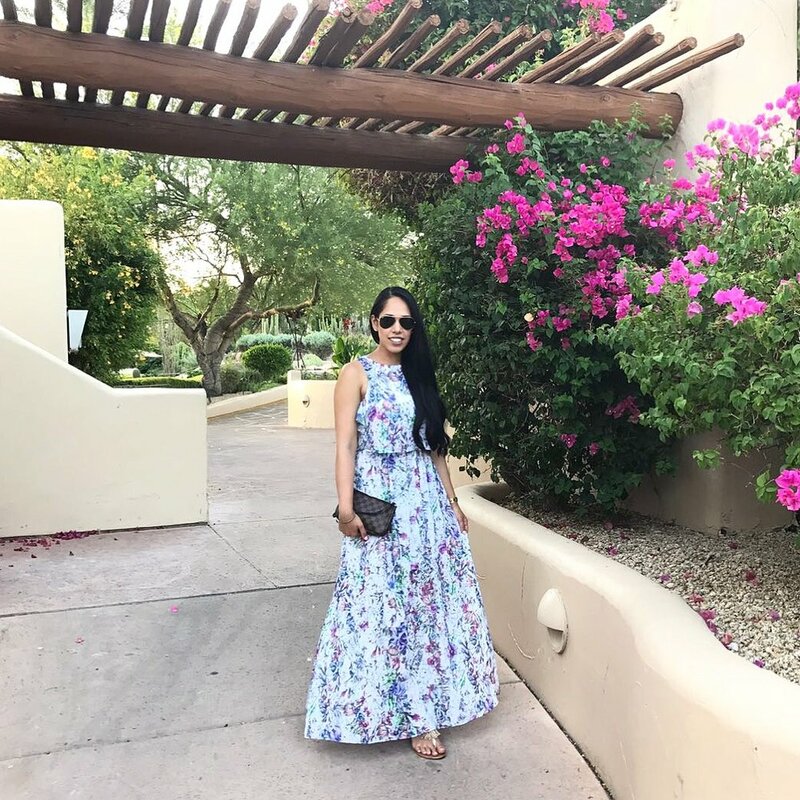 One of my favorite maxi dresses this season is this floral maxi dress that gives the illusion of a crop top and skirt. I can see myself wearing this dress over and over again this season! It’s definitely a must have for the summer and for under $25 this dress is a no-brainer! Last Sunday over the weekend in Arizona, our family friend told us he was taking my husband and I out for the afternoon. I honestly did not know what to expect and since we were going out to dinner with my in-laws right after I figured I would get dressed up for the occasion. The drive was absolutely gorgeous and scenic with beautiful mountain views, different types of cactus’, flowers, and view of these huge mansions built into the cliffs. The suspense was growing and I was quite excited wondering where he was taking us. Well we arrived at the JW Marriott Scottsdale Camelback Inn Resort & Spa in Paradise Valley, Arizona and it did not disappoint. It was BEAUTIFUL! Honestly words cannot describe how pretty the resort was. We had a couple of drinks at R Bar which is located in the lobby of the JW Marriott Scottsdale Camelback Inn. The patio area was absolutely stunning with fire pits, cabanas set among palm trees and a picturesque view of the mountains (as you can see in the photos above). I'll definitely be coming back here!